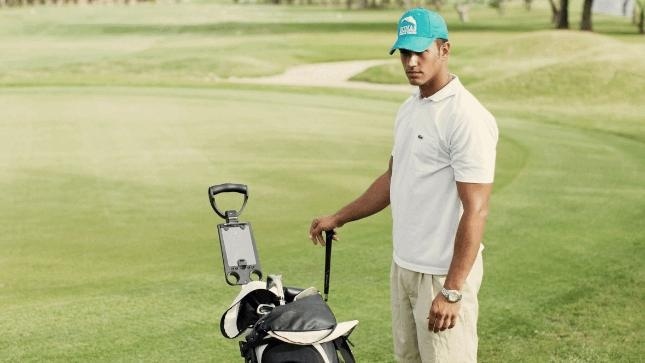 Are you tired of playing golf under a grey sky? We invite you to experience the seven paradisiacal and varied golf courses of our island while you experience a real relaxation in your body. Let the nature and sun to caress your five senses and give yourself eighteen holes of eternal paradise. Make your best swings over the palm trees and lakes while the parrots put music to your adventure and the ocean dominates the horizon. 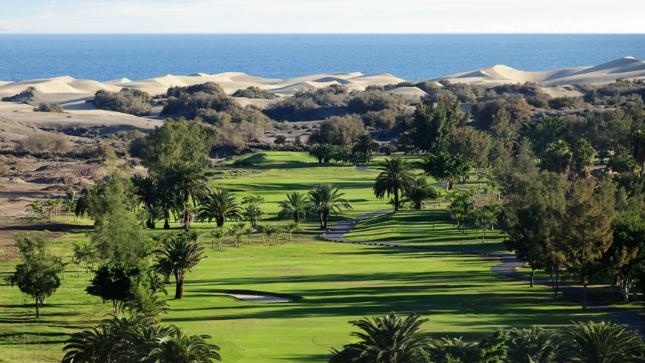 You can find the spectacular Maspalomas Golf course only five minutes away, walking from our Maspalomas Resort and Suites & Villas. 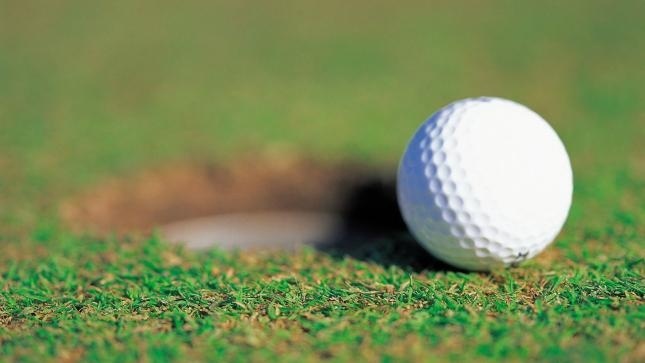 The island of Gran Canaria is well known as one of the best golf destinations in the world for thousands of visitors, as its ideal climatic conditions allow the possibility of practicing your favourite sport 365 days a year. 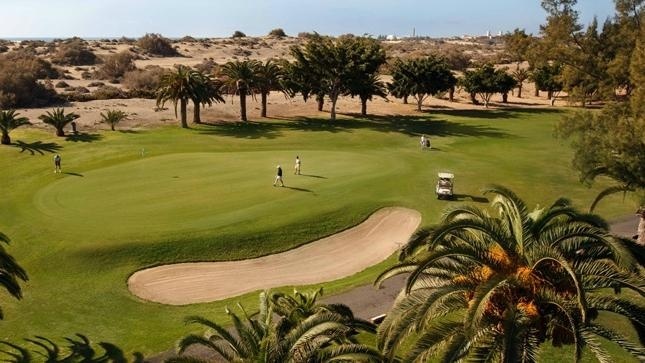 Therefore, after a good day of golf in Gran Canaria, we know that you would like to relax and have something to drink. 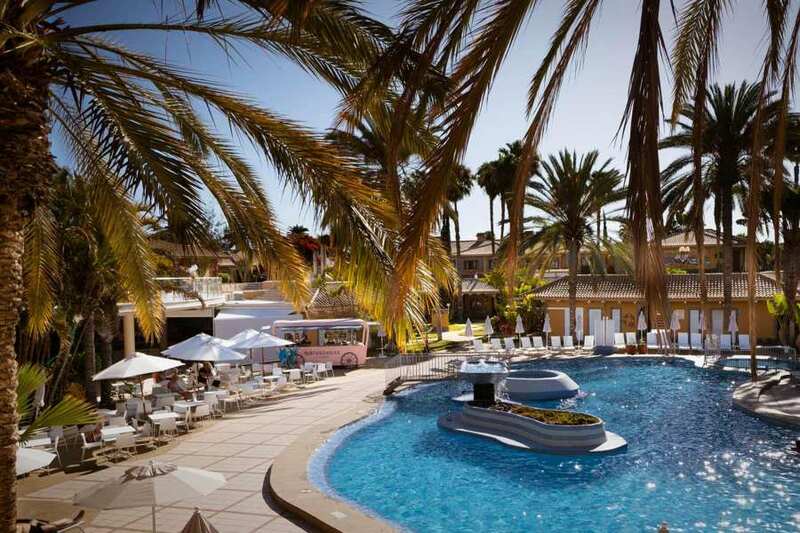 Only a few minutes from the best golf course in Maspalomas you can find our small village where you will feel at home. Many of your new neighbours also love golf and are looking forward to meeting you. 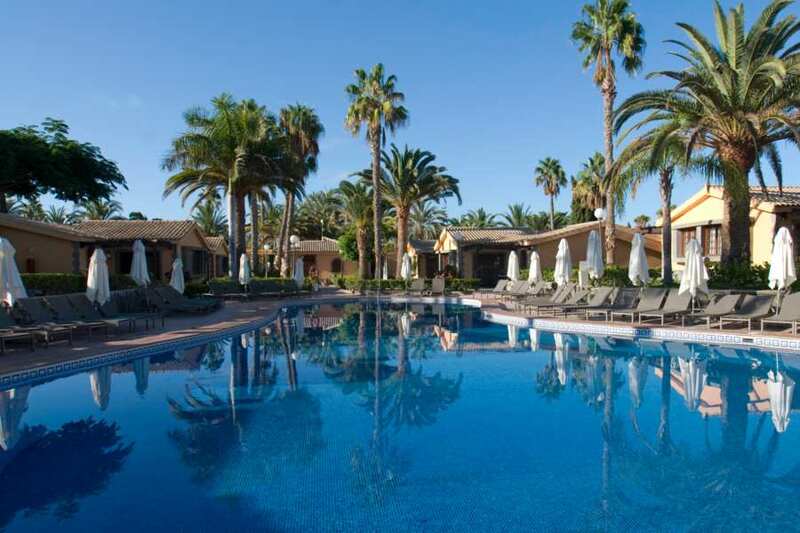 Come and enjoy your golf holidays in Gran Canaria in the heart of an oasis!